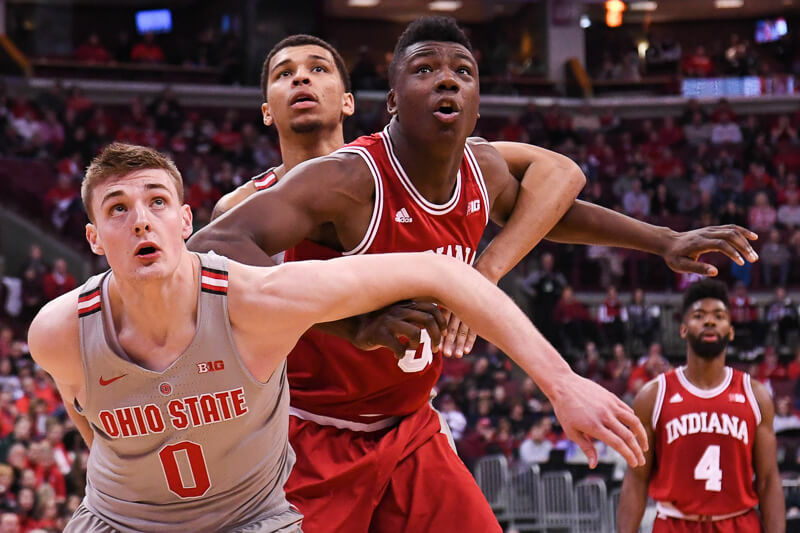 · What Indiana needs to do to make a run in D.C.
· Besides Purdue, which team is most likely to win the Big Ten tournament? IU has actually done decently in the Big Ten Tourney in Chicago. It’s Indy where they have had the problem. Both times in the Crean era they have won a game in Chicago (versus 1 win in Indy where it was the other 6 yrs. in the Crean era). Pre Crean IU won 2 games in Chicago in both 00-01 and 02-03 (the only 2 times they have won more than one game) and has actually won at least a game their 5 times in 9 years I believe. Contrast that with Indy where we have won a game 3 times in 10 years (including 1st game eliminations 6 times in last 7 yrs.). IU has not been great in Chicago but the real problem has been under Crean (Davis was actually good in the Big Ten Tourney) and in Indy overall. Chicago has not been great but not horrible. anybody read doyel’s article in the star? the one about CTC having to evolve? it’s basically one big argument for why FG should keep him. his primary argument is FG won’t be able to find the ideal replacement. in other words, great coaches are hard to come by. as far as his solution? CTC has to recruit more YF’s. anyone else see the contradiction? finding a coach to come in and do a better job than CTC is a mere fairy tale. however, there is apparently a YF tree from which CTC can go and just pick a bushel of YF’s. far as recruiting goes, i think it’s safe to say it’s been trending downward, next year’s class included (he conveniently left out that little tidbit). and i suppose it’s equally easy for a coach to evolve, whatever the hell that means. the reality is we’ve seen the same bs with different personnel. the only way he’s evolved is now he has to scour the country for undeveloped players, since he’s lost his home state, and to nation’s top 50 are going elsewhere (many staying in their respective home states, imagine that!!). i would call that devolving actually. Great thing about being in the media, you don’t have to print/write/say rational thoughts, only ones that fill a spot and ultimately helps their employer sell more advertising. I’m prolly not going to read the article but re: your points, I believe as you do that CTC is probably not going to evolve, or not NEARLY as much as the fan base demands. If he could I think he would have done it by now. Right or wrong he is who he is – a good guy who is moderately successful with a tendency to extreme highs and lows. i was actually pointing out what the writer was trying to convey. i don’t share his opinion. and you’re right about the media. seemingly as a rule, this writer in particular goes for the less popular opinion and tries to come up with a rational defense.he fancies himself as a rebel, so he has to come up with articles he considers controversial. he can do whatever he wants, i don’t care. it just annoys me that his motives are so completely transparent. Another nice podcast. I think Alex has the proper forecast for IU in the tournament and has his return flight scheduled for Saturday. 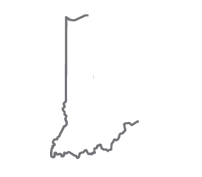 While it is true that the Big is not that strong and Indiana has been competitive, we are also generally bad at closing out games. It is hard to see that changing in the tournament. I love college hoops and am sad that this time of year we are not part of the mix. I am ready for the next chapter so am hoping we can get on with an announcement soon. I think the idea of recruiting winners is a good point. Too many of our guards don’t know how to win. Yogi was a winner.